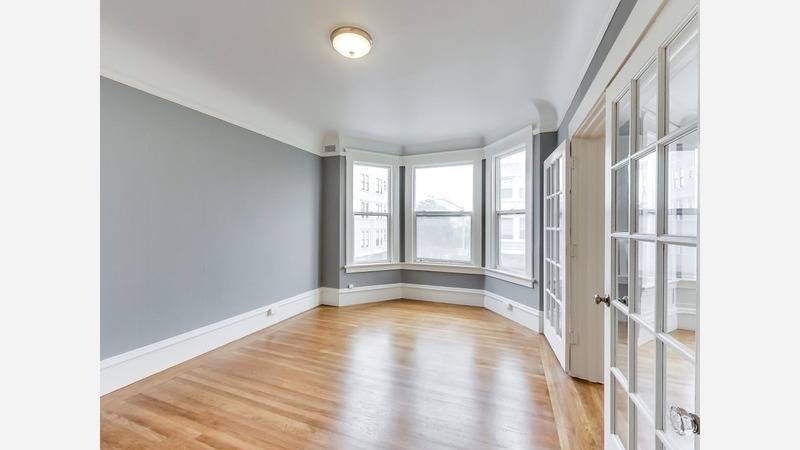 What Does $3,200 Rent You In the Western Addition, Today? Curious just how far your dollar goes in the Western Addition? According to Walk Score, this San Francisco neighborhood has excellent walkability, is very bikeable and has excellent transit. Data from rental site Zumper shows that the median rent for a 1-bedroom in Western Addition is currently hovering around $3,200. Listed at $3,195 / month, this 1-bedroom, 1-bathroom apartment is located at 1645 Golden Gate Ave. In the unit, you can anticipate hardwood floors, wooden cabinets, stainless steel appliances, a dishwasher, French doors, bay windows, high ceilings and built-in storage. The building features on-site laundry. Pets are allowed upon approval and deposit. Next, there's this 1-bedroom, 1-bathroom apartment, situated at 1 Daniel Burnham Ct., that's listed at $3,150 / month for its 749-square-feet of space. In the unit, look for a dishwasher, a balcony, carpeting, central heating and built-in storage. The building offers garage parking, outdoor space, a swimming pool, a fitness center, storage space and secured entry. Cats and dogs are not welcome. Here's a 1-bedroom, 1.5-bathroom apartment at 152 Lily St. that's also going for $3,150 / month. In the unit, you'll get hardwood floors, high ceilings, a dishwasher, granite countertops, stainless steel appliances, closet space and bay windows. The building boasts on-site laundry, storage space and secured entry. Animals are not allowed.